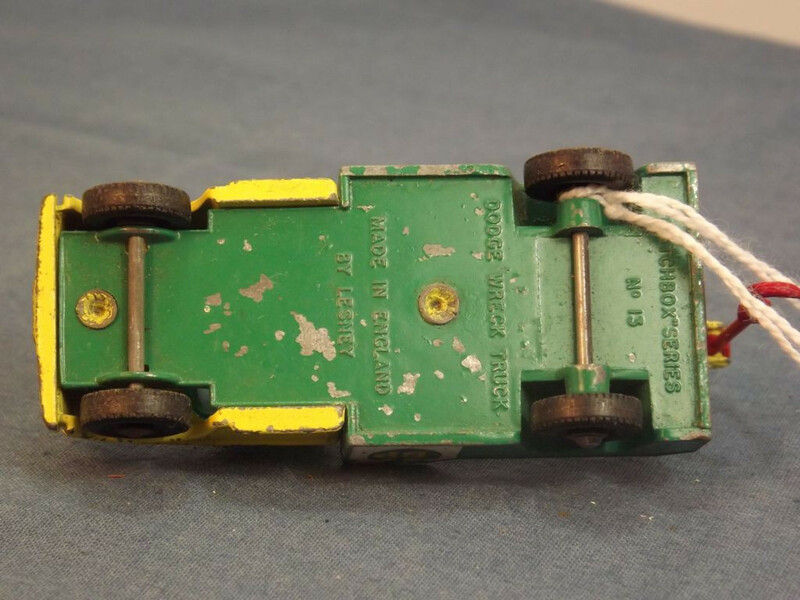 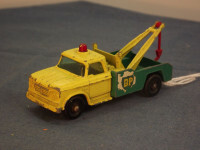 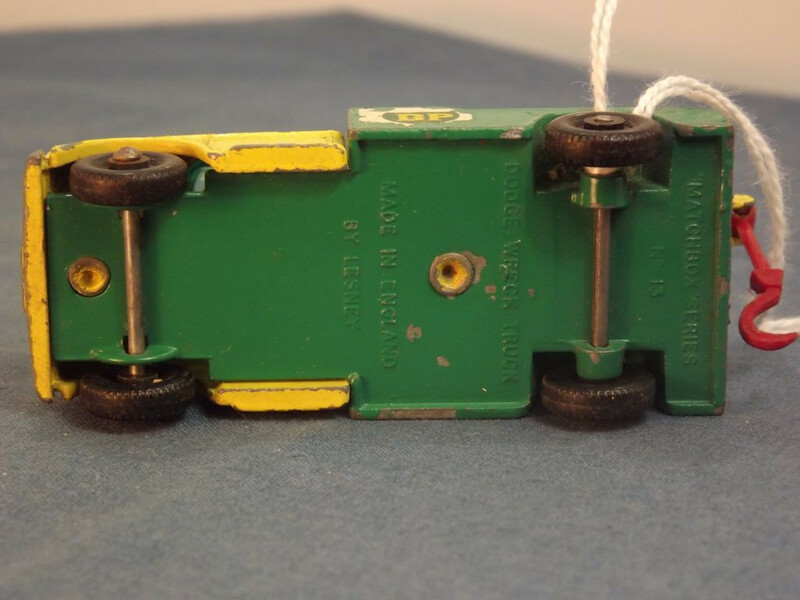 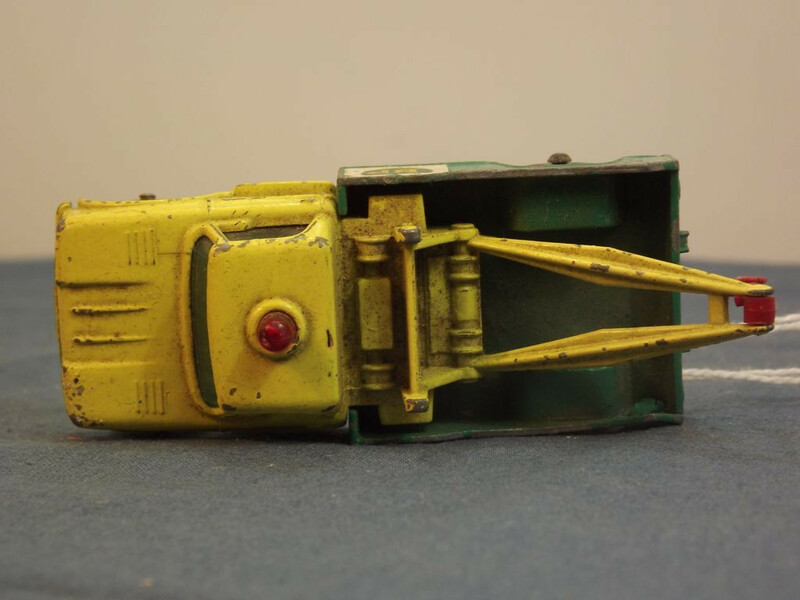 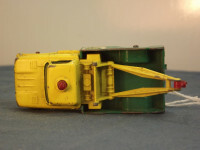 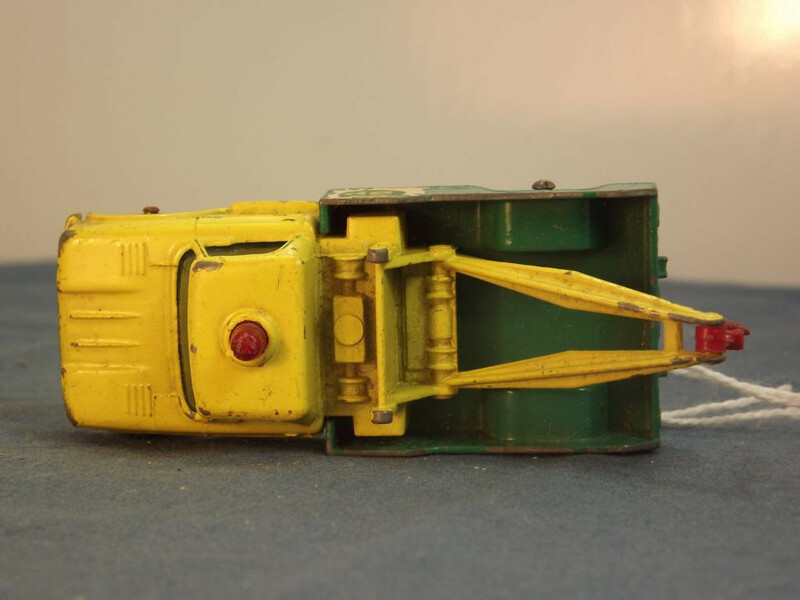 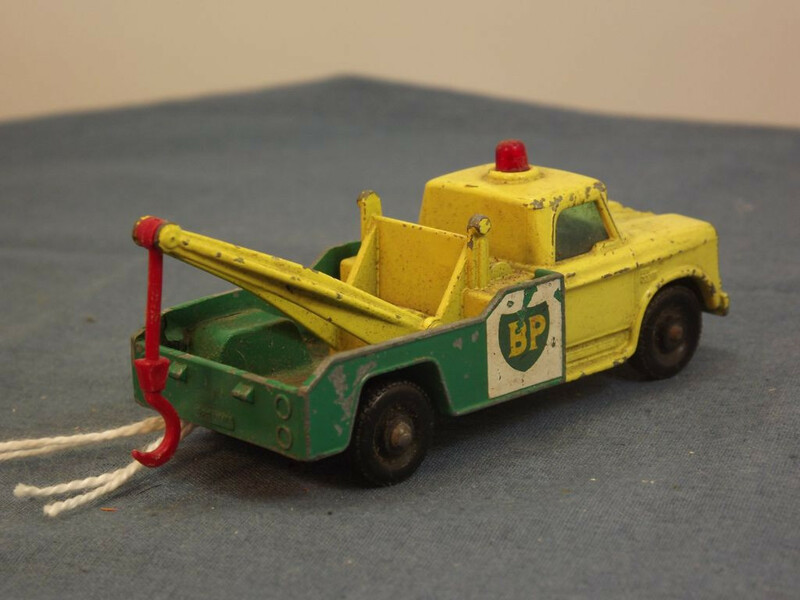 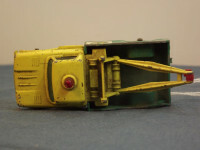 This model is the Matchbox 13-d-4 Dodge Wreck Truck in Yellow and Green "BP" livery. It was originally issued in type E and type F boxes. 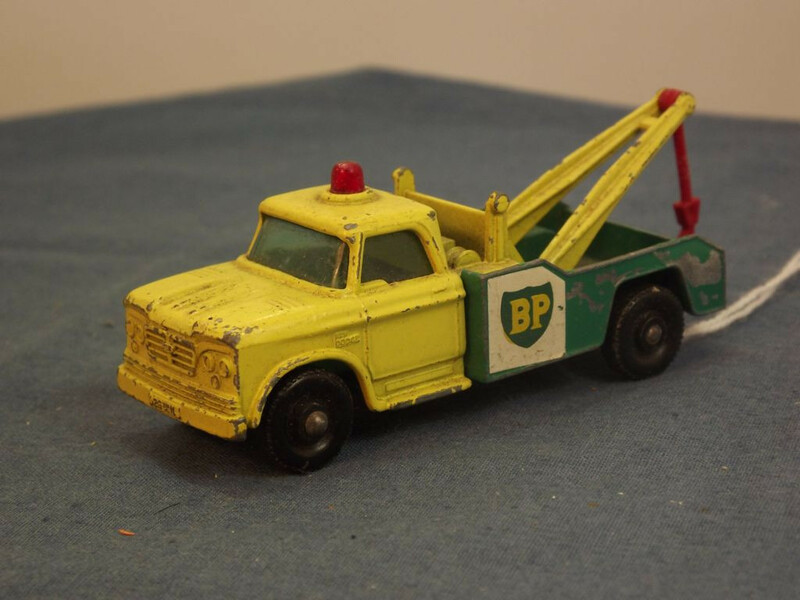 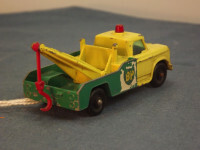 Details: Body type with thick rear crane boom, single red plastic hook, red dome cab light, regular BP decal with one angled corner, 5 lines of text parallel to the axles: “Matchbox” Series, No.13,Dodge Wreck Truck, Made In England, By Lesney. 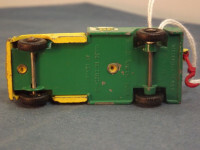 Base Fitting: Two machined rivets. Details: Body type with thick rear crane boom, single red plastic hook, red dome cab light, regular BP decal with one angled corner, 5 lines of text parallel to the axles: “Matchbox” Series, No.13, Dodge Wreck Truck, Made In England, By Lesney.